Roll20 is the most-popular online RPG virtual tabletop, with over 700k players. The website supports any format you can think of, but which ones are the ones being played the most? Well, The Orr Group, creators of Roll20, has previously reported on what systems are most popular being used on the site, and now they've got their 4th Quarter report ready. Where did your favorite system end up? How has 5th edition Dungeons & Dragons done? Check out the list to find out. Note: This first photo is HUGE (it's 1080 x 4774 when opened up fully in a new tab/window). 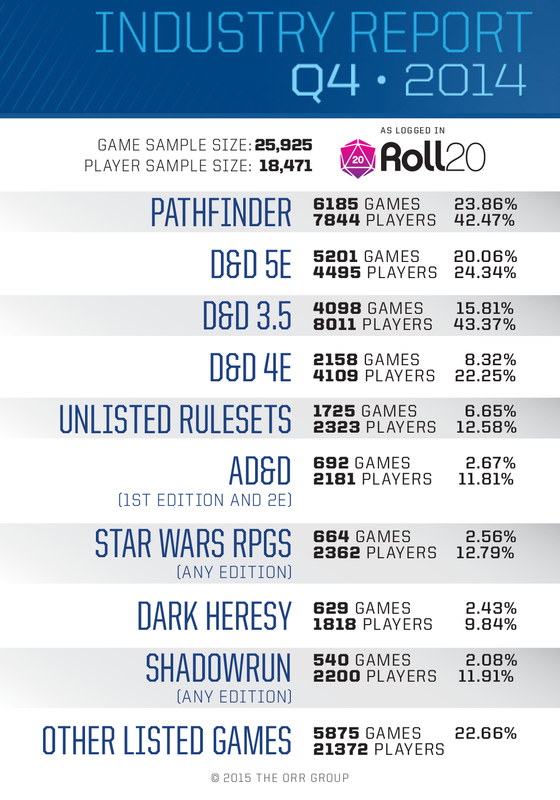 The Orr Group, creators of the Roll20 Virtual Tabletop, have released their newest collection of game popularity data from their system in the form of an Industry Report. The biggest change since the third quarter report is the significant growth of the 5th Edition of Dungeons & Dragons from 12% to 20% of all games played and from 16.6% to 24.3% of players. “It is clear that the release of the Dungeons & Dragons 5th Edition tools like the Monster Manual and Dungeon Master’s Guide along with The Rise of Tiamat adventure book stirred Roll20 users towards picking up and playing in this new rule set,” said The Orr Group cofounder and Roll20 spokesperson Nolan T. Jones. 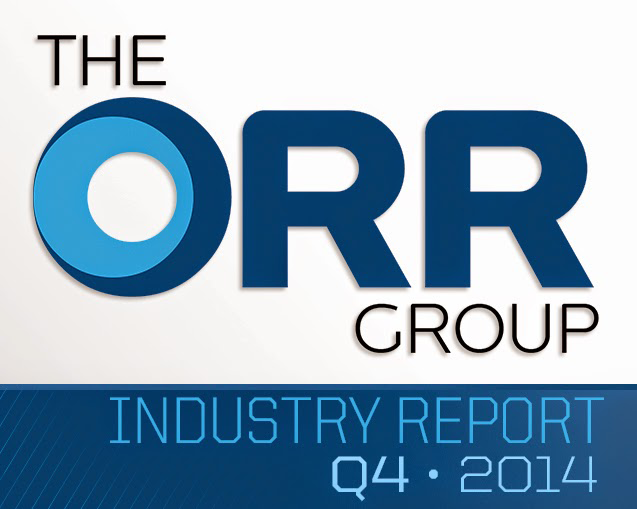 The Orr Group Industry Report also saw changes from last quarter via growth in number of respondents and several new games being added to the list. “We expected our sample size to grow with population, but we also believe more users are taking the time to select what games they are playing in reaction to knowing their selections are being noted by the roleplaying community via The Orr Group Industry Report,” said Jones. Roll20 began as an effort to keep The Orr Group founders Riley Dutton, Jones, and Richard Zayas in touch via long distance gaming. Since launching via Kickstarter, it has attracted more than 725,000 users as a free service. The program continues to be funded by subscribers who receive features that assist advanced gameplay.